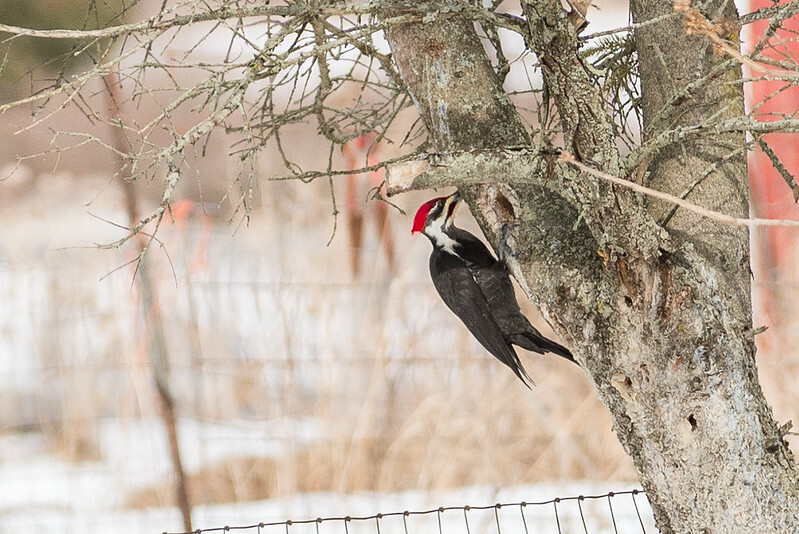 A large Woodpecker Native to North America. A large woodpecker native to North America. This crow-sized bird normally inhabits deciduous forests in eastern North America, the Great Lakes, the boreal forests of Canada, and parts of the Pacific coast.